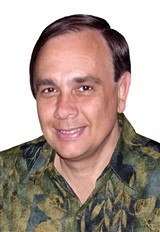 Raymond M. Soneira, President and Chief Technology Officer at DisplayMate Technologies Corporation, has been recognized by Marquis Who’s Who Top Scientists for dedication, achievements, and leadership in Display Technology. Dr. Raymond Soneira is a theoretical physicist specializing in the advanced scientific analysis, modeling and optimization of display hardware and software. He is well-known worldwide as an expert in display technology, and since 1989, he has been president and chief technology officer of DisplayMate Technologies. DisplayMate is an industry standard in testing all types of displays, and is used by hundreds of publications for editorial testing and lab reviews. Prior to this, Dr. Soneira had been vice president of research at Cactus Computers, Inc., as well as principal investigator of the Computer Systems Research Laboratory at AT&T Bell Labs. As a consultant in the field, he teaches some of the largest companies in the world how to improve their displays for smartphones, televisions and computers. In 1972, Dr. Soneira graduated from Columbia College, receiving a Bachelor’s in Theoretical Physics. He continued his education at Princeton University where he received a PhD in Theoretical Physics in 1978. His education and early career were focused on physics. After attaining his PhD, he worked as a researcher at the Princeton Institute for Advanced Study. There, he did work on cosmology and relativity, and worked with Professor John N. Bahcall, who was instrumental in the creation of the Hubble Space Telescope. As a researcher and engineer, he has made a number of discoveries and innovations. He was responsible for the discovery of hierarchical clustering and super-clustering of galaxies; he designed cosmological and stellar models for the Hubble Space Telescope; and innovated the laser range finder using the Parallax Principle. He also designed thermally optimal least-time paths for robots, and mathematical optimization displays in smartphones, smartwatches, tablets, monitors, TVs, projectors and cinemas. Dr. Soneira has contributed a number of articles to professional journals, and is a senior member of both the American Physical Society and the Institute of Electrical and Electronics Engineers. Next Abu Lwanga Senkayi, Ph.D.